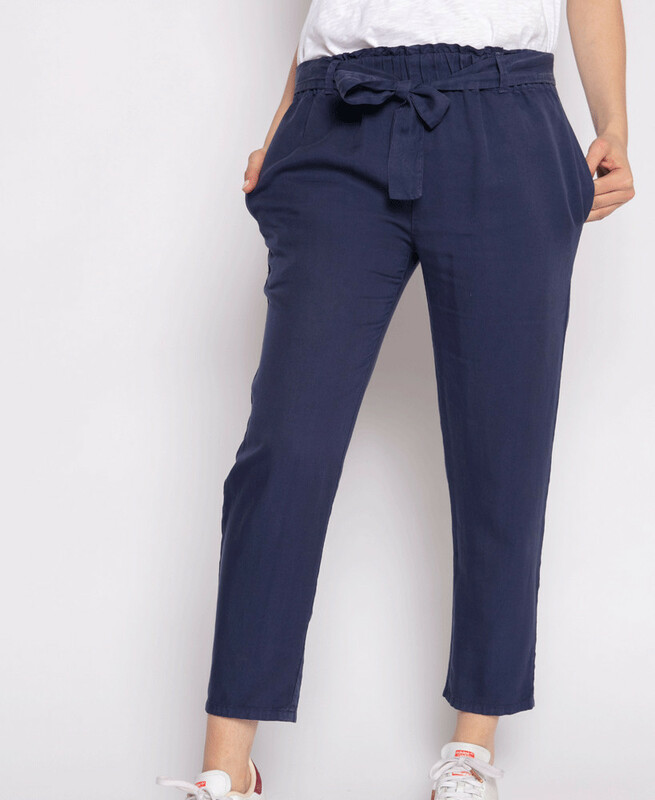 Our ankle-length Charlotte pants, that you have loved in black, comes in denim blue for this season, to accompany you with comfort and elegance before, during, after pregnancy! 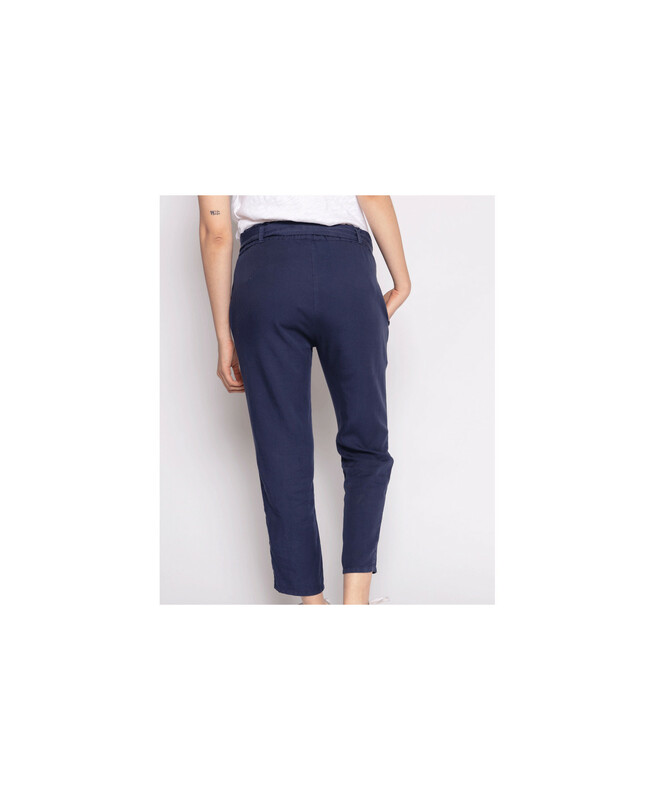 Its high-end and ultra soft fabric made of 100% Tencel, an ecological fiber from eucalyptus, gives it a perfect fall and fluidity. 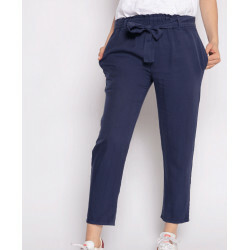 Its slightly loose cut, its pretty frilly details on the waist and its straight cut show you at your best advantage whether you're pregnant or not. During pregnancy, its soft elastic is to be worn under the belly. 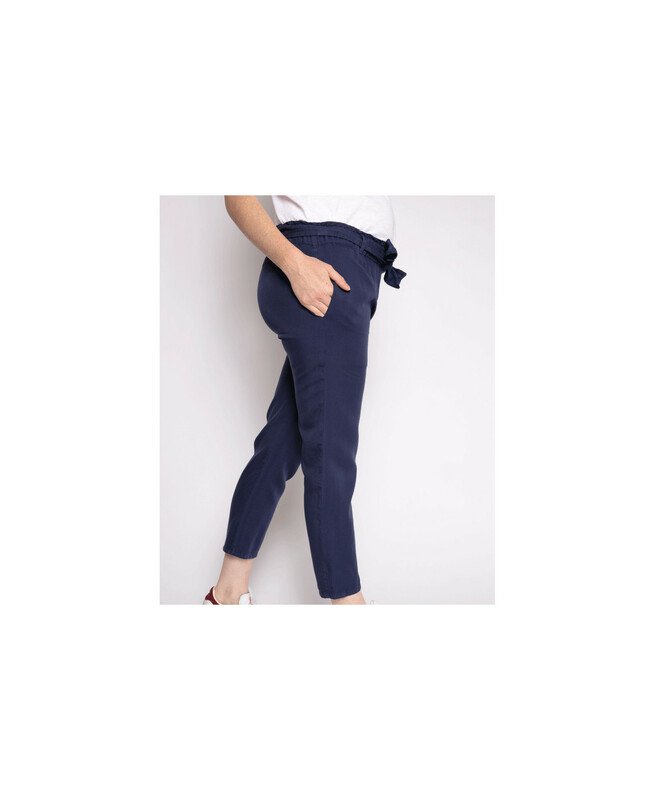 Our Charlotte pants stay in place and do not slip! 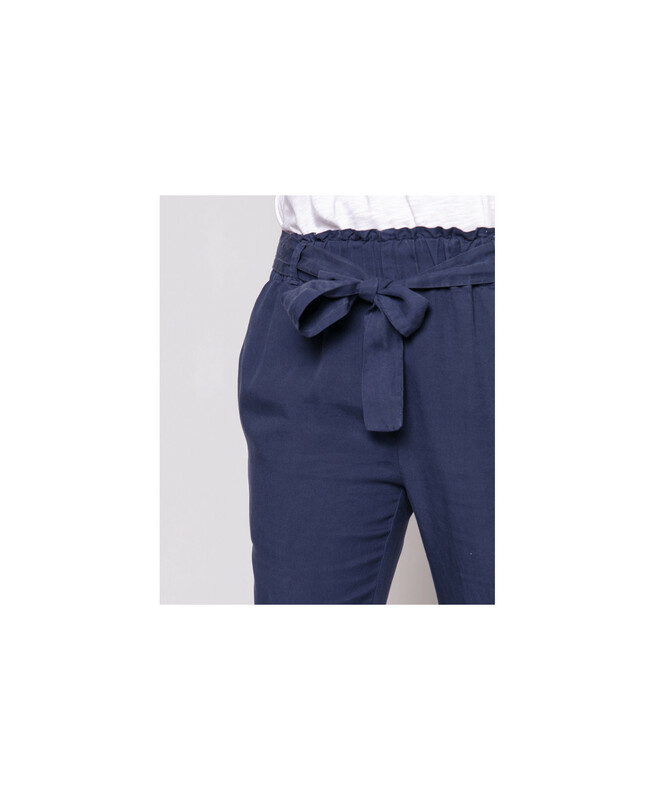 After baby delivery, its belt, also cut into the same soft fabric, will allow you to adjust your pants, if necessary. Its blue color blends with all our tops and shirts for a stylish, easy-to-wear daily and evening looks! 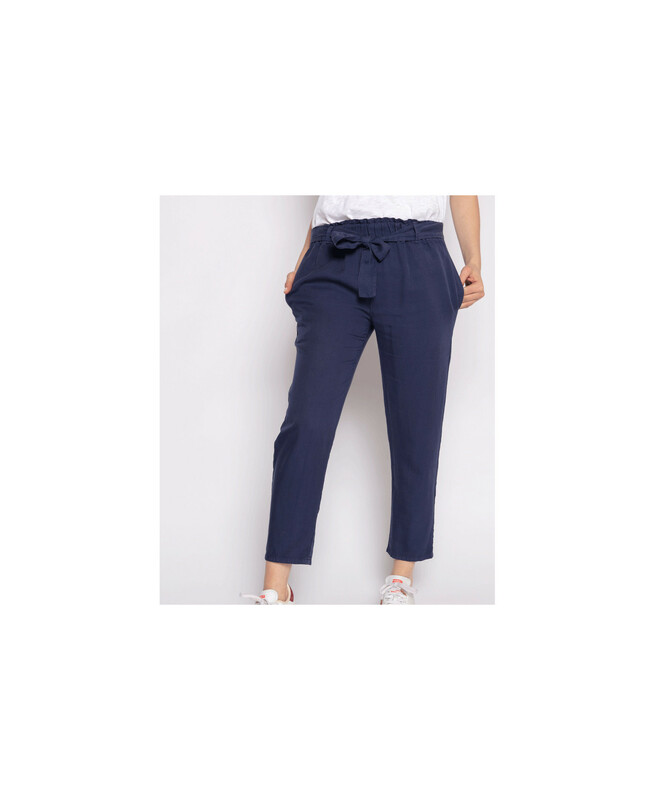 Our ankle length blue pants Charlotte will accompany you with comfort and elegance before, during and after your pregnancy. If you hesitate between two sizes, prefer the size above. If you mesure more that 5'5", prefer the size above. Emilie, our 6 month pregnant model, is 5'8" and is wearing a size M.
Jeanne, our non pregnant model, is 5'6" and is wearing a size S.